Laura W. McDonald, and Karen Gelb. PTW Architects, and ICE Design. Digital technology is transforming all social life, including justice processes. This project has focused on the move towards virtual justice, where participants might be physically dispersed but present in one physical courtroom by audio and video technology. There is no necessary link between better technology and better outcomes. Video technology, as currently used in courts around Australia, can bring about undesirable effects like isolating witnesses, increasing stress amongst people who are already vulnerable, inhibiting communication, and making it difficult to assess evidence or the plausibility of the person on the screen. The Distributed Courtroom model has been developed to address some of these problems. A team of academics across law, psychology and sociology, in partnership with justice, architecture and technology professionals have collaborated to develop a Distributed Courtroom model that tries to make the video-enabled hearing as similar as possible to a face-to-face hearing, in terms of supporting sightlines and soundscapes. It pushes the boundaries beyond the first generation of video conferencing by developing an immersive environment, with participants arrayed in logical places around the room rather than appearing wherever the screen happens to be located. 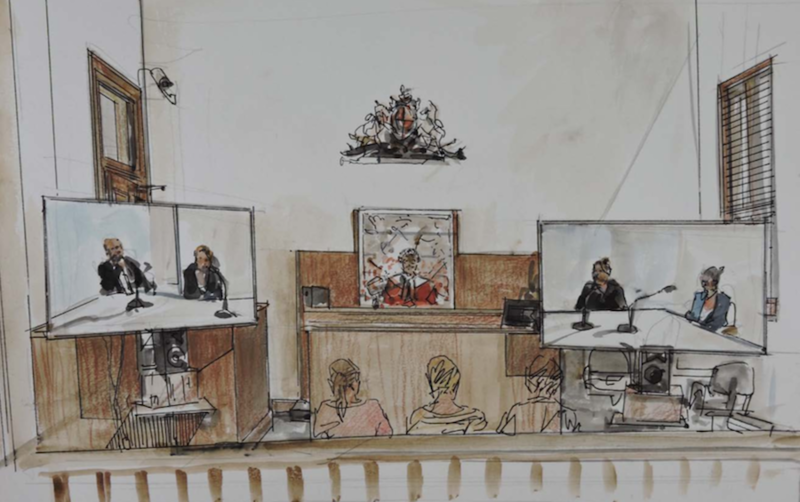 Findings from the Distributed Courtroom field experiment in the North Sydney Court have provided the NSW Department of Justice (DoJ) and specifically the Audio Visual Links (AVL) project with empirical evidence on the impact of immersive technology on court proceedings. This report can be used to assist those developing general guidelines for practice in a distributed courtroom as well as those dealing with specific applications of these technologies.